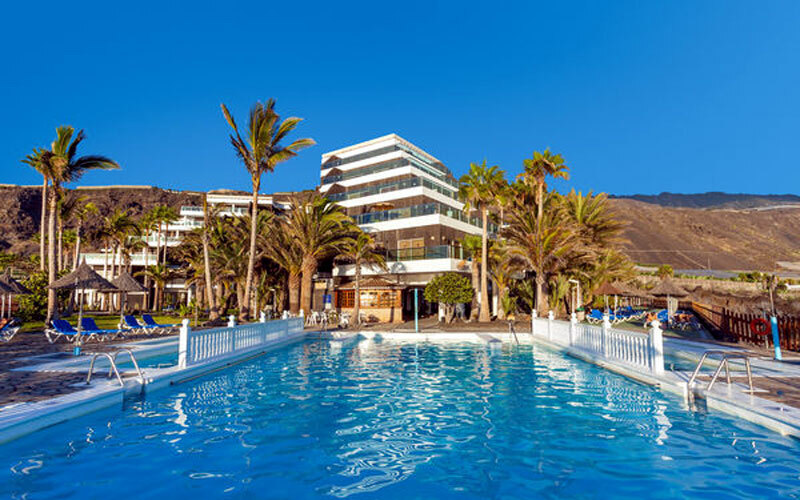 This large hotel is just a short stroll from the spectacular Puerto Naos Beach, near the town and port of Tazacorte. 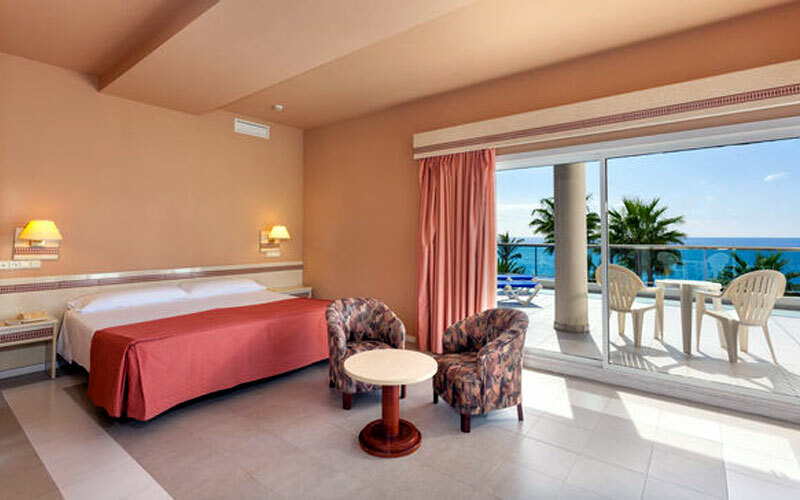 The majority of the rooms feature a fabulous sea view. 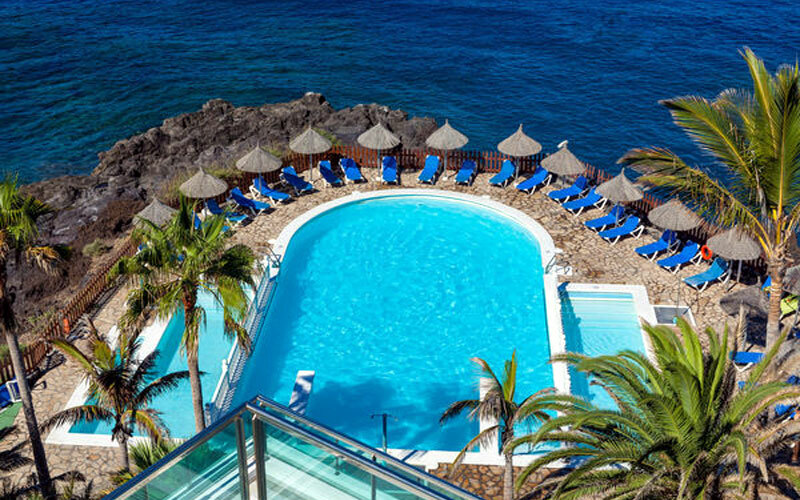 Puerto Naos is home to La Palma's best Naturist Beach - Playa de las Monjas. This hotel also provides a naturist sunbathing terrace. To enable our clients to fully appreciate this wonderful small island and the naturist beach, we recommend hire car for the duration of your stay. Car parking is available at the hotel. Transfers are also available. Standard Rooms are located next to the black sandy beach of Puerto Naos and in the midst of exotic banana trees, these rooms measuring 16 m2 provide two single beds, TV with satellite channels, air conditioning, telephone, WiFi internet (*), fridge (*), safe (for hire), a full bathroom with bathtub and a 5m² furnished terrace with tables & chairs. 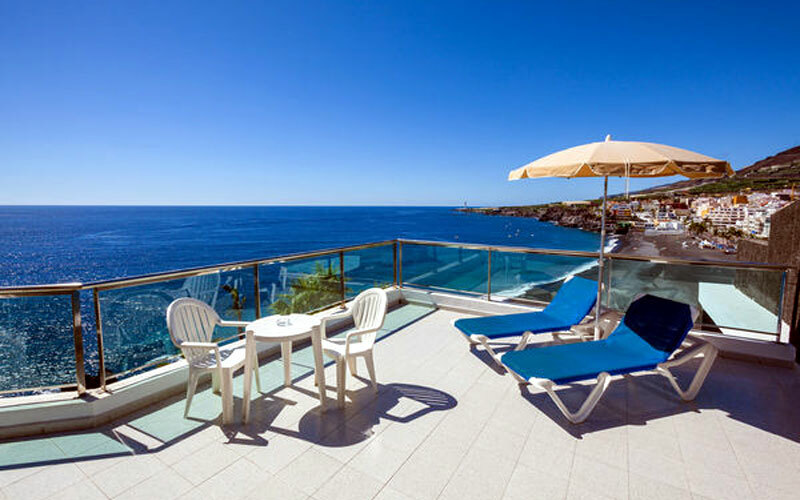 Superior Rooms are spacious and bright providing stunning terraces with fabulous sea views, a queen size bed or two single beds, TV with satellite channels, air conditioning, telephone, Wi-Fi internet (*), fridge (*), safe (for hire), a full bathroom with bathtub. From the terrace, you can enjoy a beautiful sunset over the Atlantic Ocean. Junior Suites are spacious with a separate lounge area with two sofas and a TV, a bright and spacious bedroom with a TV, Wi-Fi (*), air conditioning, telephone, fridge (*), safe (rental) and full bathroom. It has a spacious terrace overlooking either the sea or the resort depending on availability on arrival. Functional and practical furniture allows you to enjoy your holiday in a warm and welcoming atmosphere. 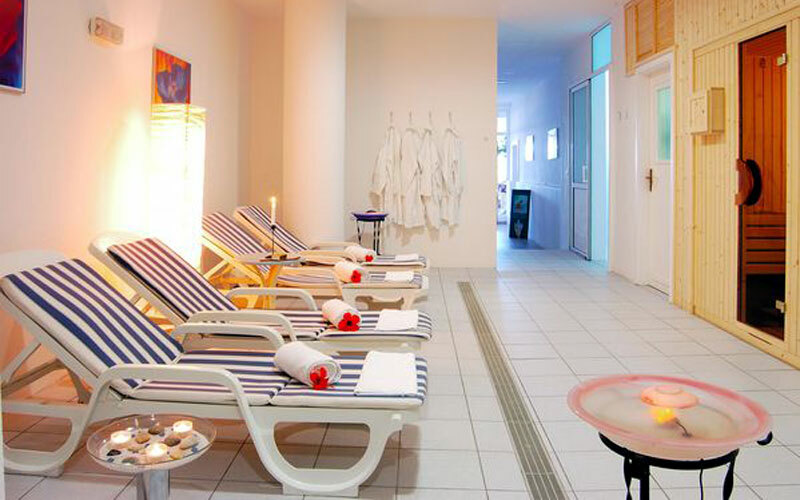 Away With Dune offer this hotel on a half board basis. 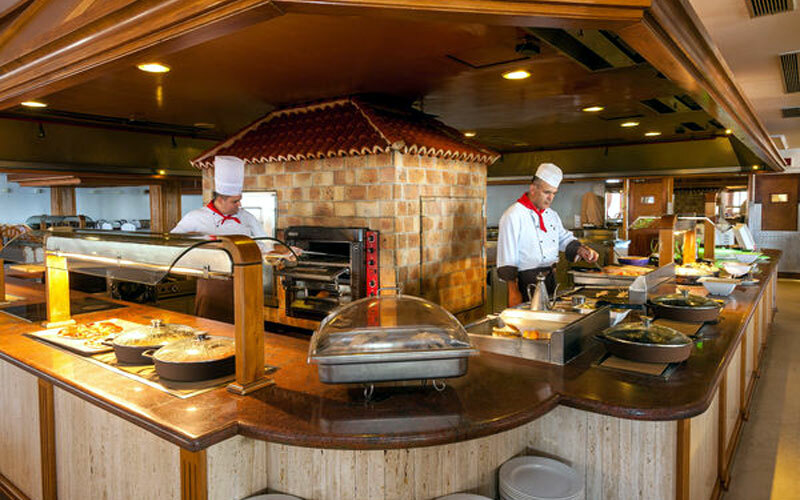 The Puerto Naso Restaurant provides a buffet with a wide range of options with show cooking and a wonderful area serving salads, fish, meat, seasonal fruit and vegetables, pastas, pizzas and delicious desserts. This restaurant is bright and spacious with air conditioning, an outdoor terrace and magnificent sea views. The Platinum Lounge is an a la carte restaurant where you can choose from a wide range of tapas, delicious main courses and exquisite desserts. The Pool Bar provides hot and cold snacks, hamburgers, sandwiches, chips, as well as an extensive choice of drinks, cocktails, long drinks, gin and tonics, slush puppies and ice creams during the day.